The U.S. Department of Agriculture’s Food Safety and Inspection Service said Thursday that the recall of Tyson ready-made nuggets was issued after it received two reports of “extraneous material” in packages of the frozen chicken products. Tyson’s recall of pre-made chicken products included 20- and 25 lb. packages of Buffalo-style chicken strips, as well as 20 lb. bags of crispy chicken strips. All three had expiration dates of Nov. 30, 2019. The FSIS designated the recall as a Class I, meaning there’s a high health risk associated and the recall carries the potential for serious health effects. While the FSIS said that there hadn’t been any confirmed incidents of health issues resulting from people eating the nuggets, it nonetheless said that packages of products bearing the number “P-7221” should be thrown out or returned. Tyson said in a press release that the voluntary recall was being issued “out of an abundance of caution.” Tyson spokesperson Gary Mickelson said that the company is continuing its investigation into the issue but said that the company believes the incident to be “an isolated matter,” per the New York Times. 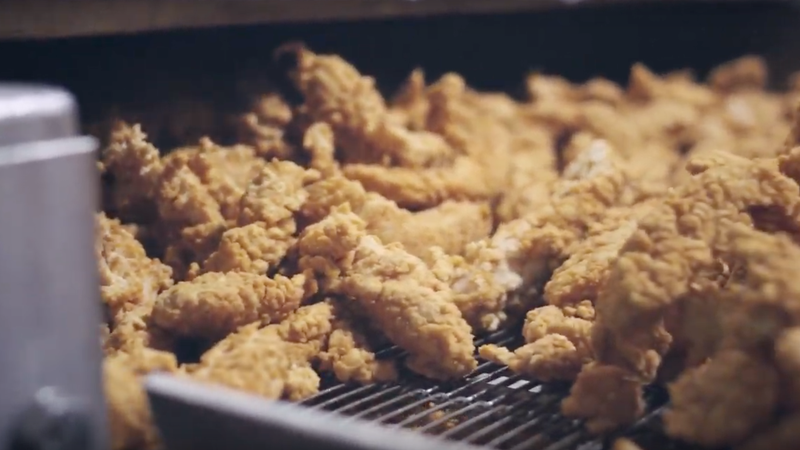 Isolated or not, it’s been a bumpy year for Tyson and its chicken products. The company also recalled more than 36,000 pounds of panko chicken nuggets in January over the possibility that they too may contain “extraneous materials,” that time with rubber. The FSIS said at the time the recall was issued following an unspecified number of complaints from consumers. “A small number of consumers contacted the company to say they had found small pieces of soft, blue rubber in the nuggets, prompting the company to issue the recall,” Tyson said at the time. The company said it recalled the products as a precaution after the foreign materials were found in what it described as “a very small number of packages.” No injuries were reported at the time. A full list of states where the most recently recalled Tyson chicken products were shipped can be found right here.